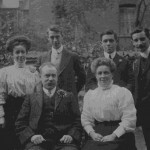 Son of Moses and Frances Barlow, of 20, St Stephen’s Terrace, Albert Square, Clapham Road, London. 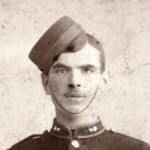 Frank Barlow was buried 10 yards from the road at Katerini, near Thessaloniki, Greece. 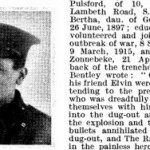 On 17 February 1917 he fell down a precipice and fractured his skull. He was killed instantaneously, according to a witness at the Council of Enquiry in the Field held by Lieutenant Colonel R. J. L. Ogilby on the same day. The platoon had been told to make their way down a sharp slope east of the camp and up a hill on the other side. “I came to the edge of a cliff with a drop of about 90 feet to a stream below,” said R. C. Hone. “I told the men to get round the best way they could.” They split in two and he tried to cross the stream but fell in and lost his stick. “I called to the others to catch the stick as it went by,” he continued. But then he noticed the body of Private Barlow. “The last time I saw Pte. Barlow was about a quarter of the way down […] when I noticed he was carrying a signalling flag. Serjeant Souter “saw something in the water, which I first thought was an animal. On looking down I found it was a London Scottish man.” They hauled the body out. 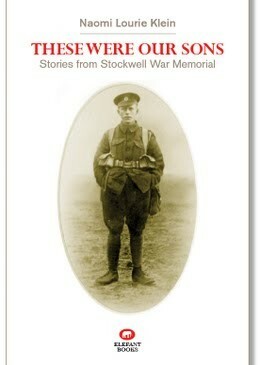 Barlow was examined by a Captain J. D. Stubbs, of the Royal Army Medical Corps and pronounced dead. 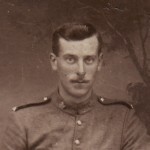 Barlow served in France for two months before he was sent to Salonika in November 1916. 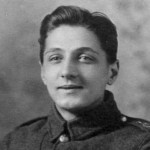 He had enlisted in the London Scottish on 24 January 1916 at Buckingham Gate, London, where he was described as having “good” physical development. He was 5 feet 8 inches, with a 35-inch chest (which he could expand 4 inches). His papers do not include his civilian ocupation, but the 1911 census shows that he was at that time a 14-year-old part-time student and office boy. He lived with his family at 20 St Stephen’s Terrace, SW8, where they occupied five rooms. His father, Moses Barlow, 52, was a mechanical engineer (working in boiler making), from Reading, Berkshire. His mother, Frances Barlow, 43, was born in Chelsea. 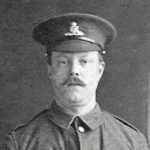 There was a brother, George, who also later served in the Army. 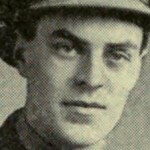 A nephew, Richard Barnes, 18, a motor engineer from Sunbury, Middlesex, lived with the family.